The Holy Spirit is known as the comforter and His mission is to reprove the world of sin, and of righteousness, and of judgment. It is a Spirit of truth that will be a guide in our life to keep us always in remembrance of the word, and will show us things to come. (John 16:7-16). Nevertheless I tell you the truth; It is expedient for you that I go away: for if I go not away, the Comforter will not come unto you; but if I depart, I will send him unto you .And when he is come, he will reprove the world of sin, and of righteousness, and of judgment: Of sin, because they believe not on me; Of righteousness, because I go to my Father, and ye see me no more; Of judgment, because the prince of this world is judged. I have yet many things to say unto you, but ye cannot bear them now. Howbeit when he, the Spirit of truth, is come, he will guide you into all truth: for he shall not speak of himself; but whatsoever he shall hear, that shall he speak: and he will shew you things to come. He shall glorify me: for he shall receive of mine, and shall shew it unto you. All things that the Father hath are mine: therefore said I, that he shall take of mine, and shall shew it unto you. A little while, and ye shall not see me: and again, a little while, and ye shall see me, because I go to the Father. The just live by the faith in Christ and the promise of the Holy Spirit is given even on the Gentiles as this was the blessing given through Abraham. (Galatians 3:11-15). The Holy Spirit has the ability to raise us from the dead just as it did when Jesus died and rose again on the third day! (Hosea 6:1-2) Come, and let us return unto the Lord: for he hath torn, and he will heal us; he hath smitten, and he will bind us up. After two days will he revive us: in the third day he will raise us up, and we shall live in his sight……. (Romans 8:10-14). Jesus who was born from the womb with the Holy Spirit did not fulfill the lusts of the flesh and was heaven bound from day one, while we on the other hand must come to repentance and as Christians not choose the works of the flesh, but be led of the Spirit which God gives to those who obey Him. (Acts 5:29-32) Then Peter and the other apostles answered and said, We ought to obey God rather than men. The God of our fathers raised up Jesus, whom ye slew and hanged on a tree. Him hath God exalted with his right hand to be a Prince and a Saviour, for to give repentance to Israel, and forgiveness of sins. And we are his witnesses of these things; and so is also the Holy Ghost, whom God hath given to them that obey him…….. (Galatians 5:16-26). Jesus did many works for the good of the people and said whatsoever we ask in His name will He do if we love Him and keep His commandments. 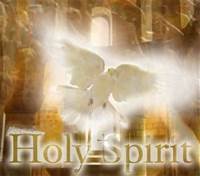 And by doing so we will receive His Holy Spirit and He will manifest Himself to us. (John 14:12-21). Simple and straight to the point – great post!! !